It creates the roof of the cranial cavity. 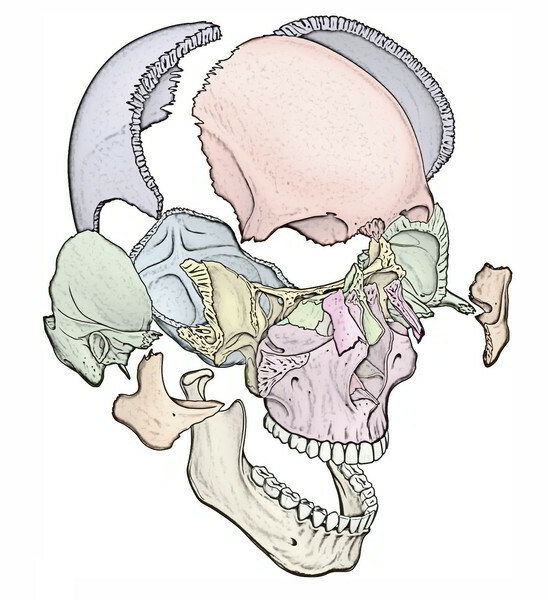 Superior portions of frontal, parietal and occipital bones create skull cap. Sagittal sulcus: It lodges the superior sagittal sinus and is an anteroposterior groove in the median plane. It becomes wider and at internal occipital protuberance, it becomes constant with the right transverse sulcus, when followed posteriorly. 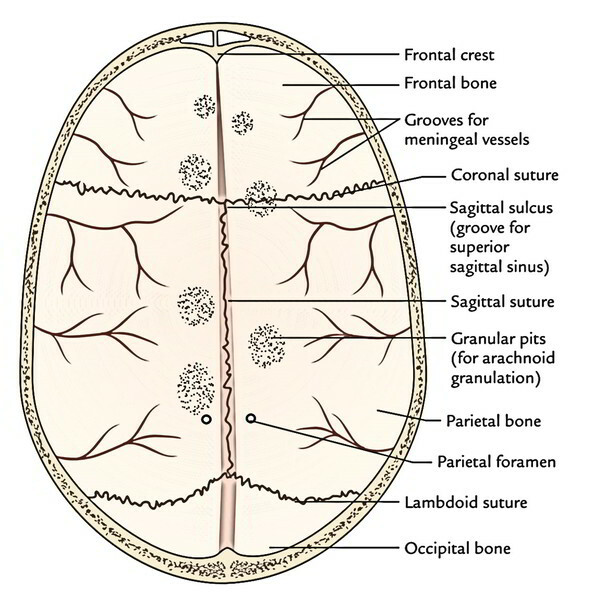 Granular pits: They lodge arachnoid granulations and these are numerous atypical depressions on every side of the sagittal sulcus. They’re more notable in skulls of aged individuals. Vascular grooves: All these are generated by the terminal branches of middle meningeal vessels. Groove for the anterior branch can be found behind the coronal suture, on the other hand that for the posterior (parietal) branch is more posteriorly set. 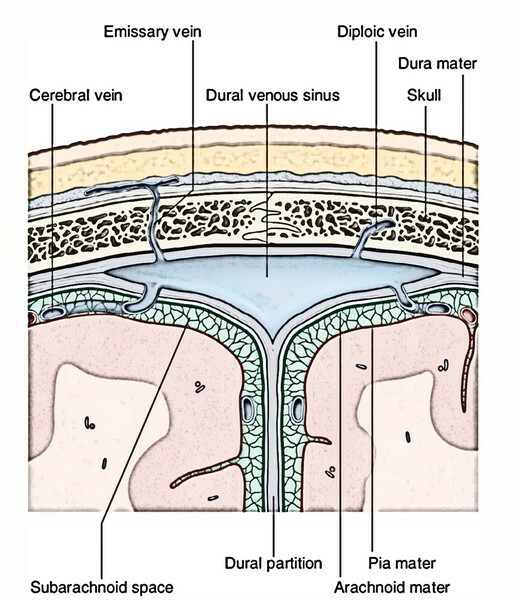 The terminal branches of middle meningeal artery are divided from bone by their corresponding veins; for this reason, the vascular grooves are generally created by the veins rather than by the arteries. Parietal foramina: It’s 1 on every side near the sagittal sulcus about 3.5 cm in front of the lambda. Impression for cerebral gyri: They can be quite less marked as compared to those on the internal outermost layer of the base of the skull. The bones of skull cap (cranial vault) contain outer and inner layers/plates of compact bone (usually named outer and inner tables) with an intervening layer of the spongy bone named diploe. 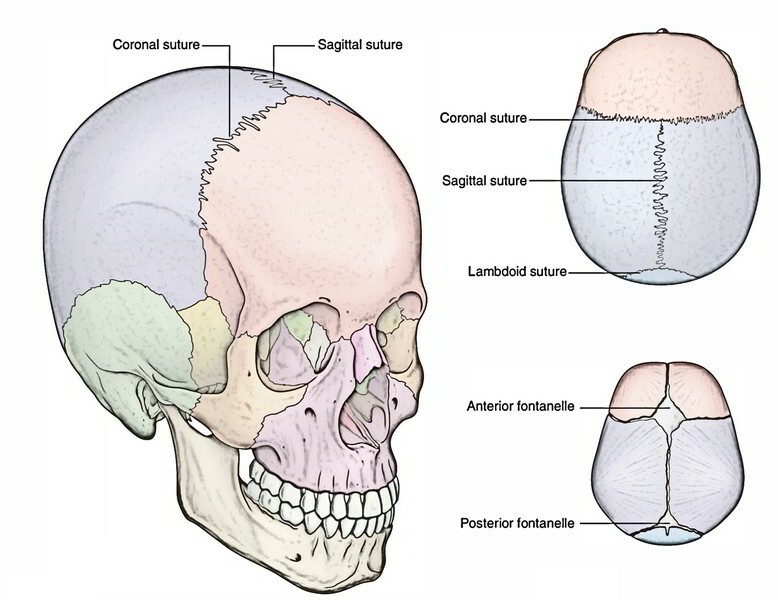 In kids, the bones of cranial vault are created of just one layer of the compact bone. The outer table is thick, bouncy and tough on the other hand the inner table is thin and fragile. The bumps on head might cause fractures of either 1 or both the tables. When the inner table is fractured, its tendency to shatter and can lacerate the underlying vessels inside the dura mater. The diploe is filled up with red bone marrow. A frontal diploic vein that comes forth from the bone in the supraorbital foramen to join the supraorbital vein. An anterior temporal (parietal) diploic vein that pierces the greater wing of the sphenoid to join the sphenoparietal sinus or the anterior deep temporal vein. 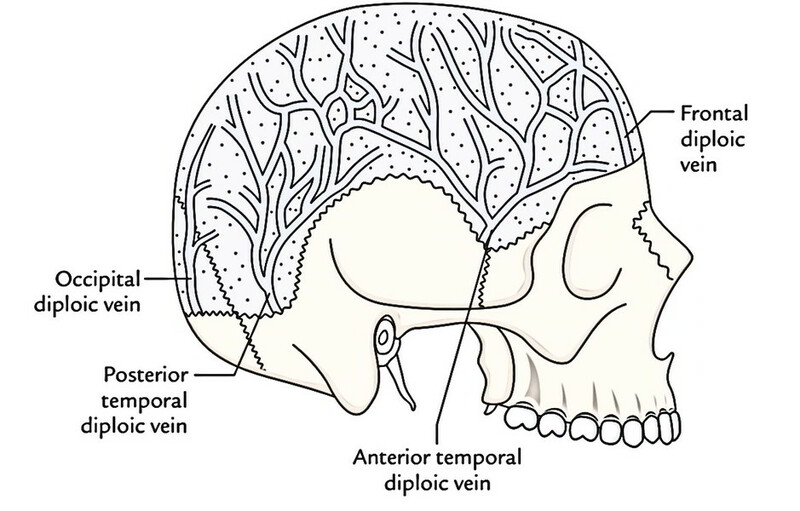 A posterior temporal (parietal) diploic vein that pierces the inner table in the parietomastoid angle to join the transverse sinus.